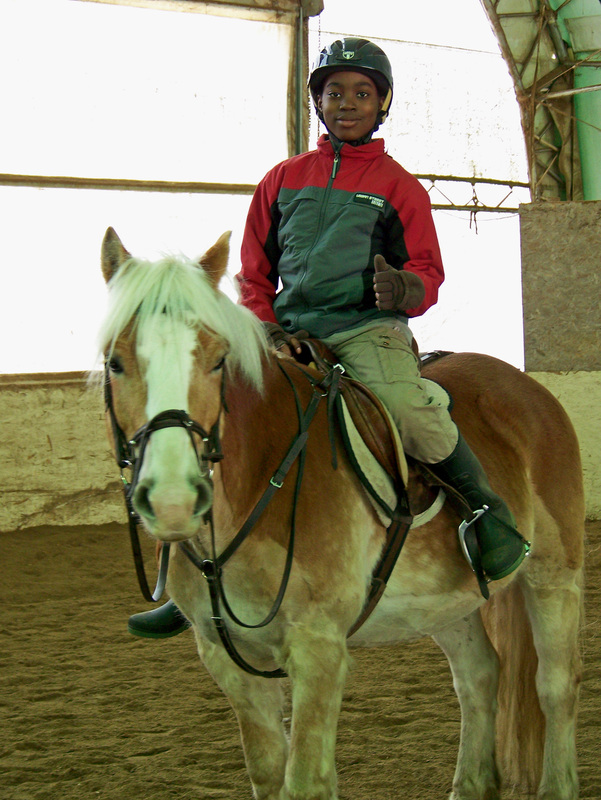 Safety, fun, and learning are the goals of the week for Caledon Equestrian School campers. Many youngsters are thrilled to spend a part of their summer with the horses and wonderful counselors at the Caledon Equestrian School. Camp days include some essential barn skills, stable management lessons, a riding lesson, some crafts and a little more barn chores to wrap up a packed horses activity day. With many leaders helping during the lessons, the riders are ensured of a safe introduction to riding. The campers who are experienced students at the school already, are able to hone their skills with the daily riding lessons. The riders follow the national rider level system, with a focus on safe progressive skill development. All the campers really help each other out learning essential team skills by working together during barn chores. After an hour of barn chores, campers go into their riding groups for the day where they learn practical care of the horse, do crafts and have an hour long riding lesson. The days are full of fun interesting horse activities. By the end of the week the campers are truly enthusiastic horse kids with a good, introduction of what it would be like to have their own horse someday. And they all love showing their new found skills to friends and family during the end of week horse show on Friday afdternoons! It is always a thrilling sight to see how new riders start the week a little nervously and by the end are totally comfortable around the horses and the barn. It is to the credit of the the wonderful counselors and coaches who take such good care of the new riders and give them a happy and safe experience. We are thrilled to continue our partnership with the Cedar Glen YMCA. We are offering 5 weeks of camp again with the Y this summer! It will be a very busy summer and we are really looking forward to sharing our wonderful horses and farm with many new and returning campers. See you all this summer!! SUMMER CAMP – $400/child, $375/ for the second family member.